The United States Sports Academy is a vocational school that provides career training for individuals interested in sports industry careers. It is located in Daphne, Alabama. The school offers degree programs at the bachelor’s, master’s, and doctorate levels. Graduates of the United States Sports Academy often begin careers as fitness specialists, coaches, and sports managers. See the degree programs that are offered at United States Sports Academy. See what it costs to enroll at United States Sports Academy and how many students are receiving scholarships, grants, or loans as financial aid to help cover the costs of tuition. 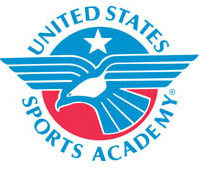 See the admission requirements for United States Sports Academy. Find out how many students apply and how many are accepted. View a graphical breakdown of the gender, age, and ethnicity of currently enrolled United States Sports Academy students.